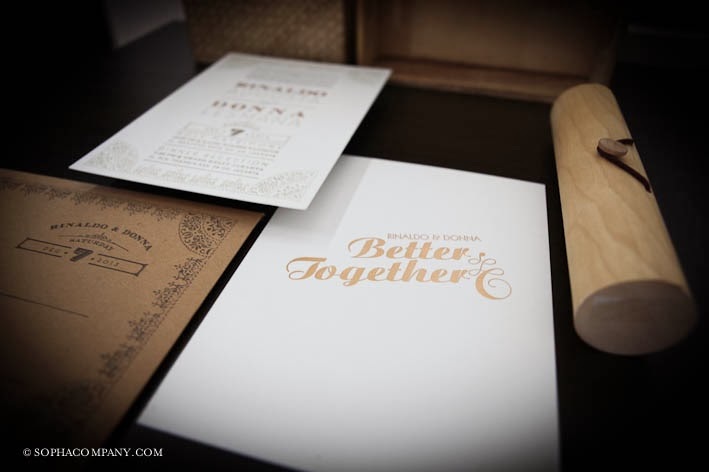 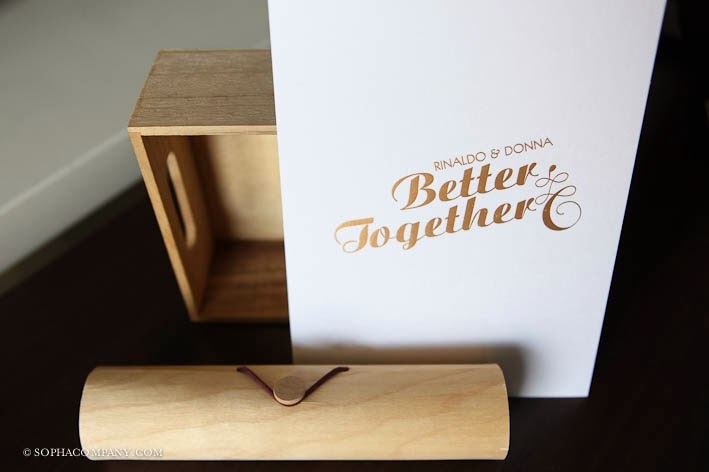 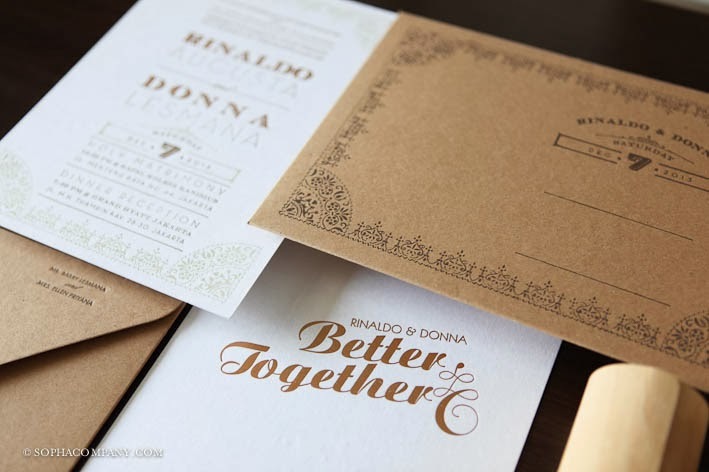 We were working for a few months with Donna on the design of her wedding invitation. 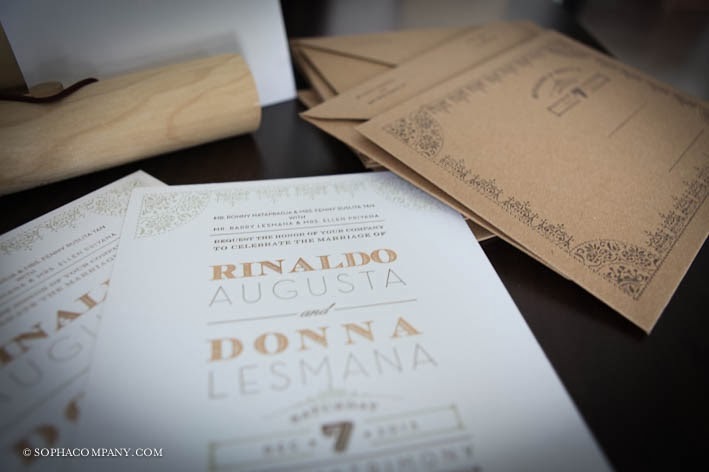 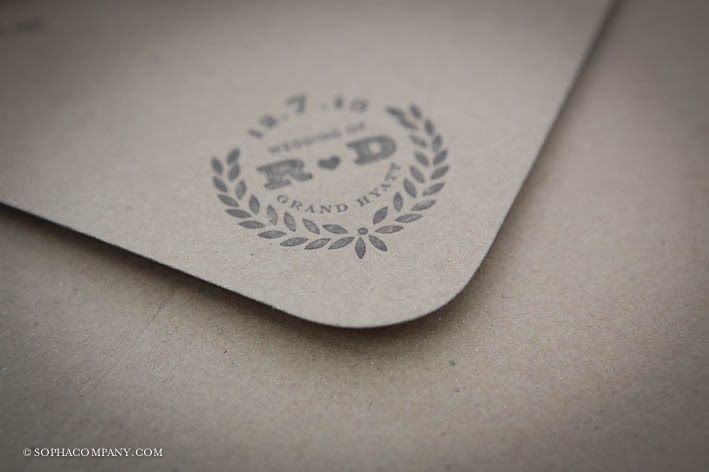 Rinaldo & Donna were after vintage old country look that's perfect when printed using letterpress method combined with the right paper selection. 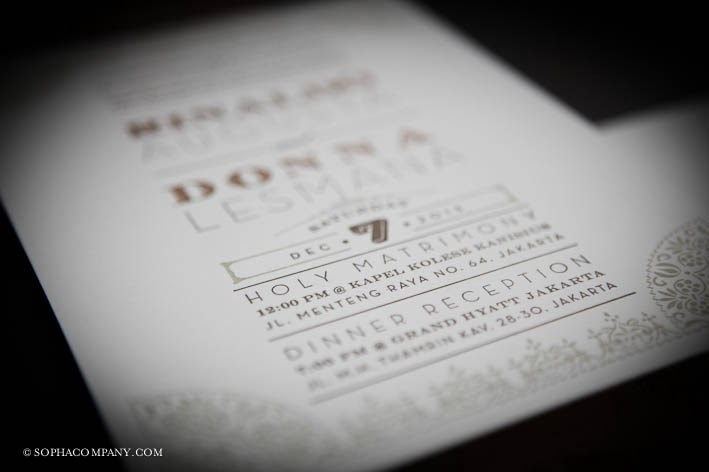 This invitation is done using 2 special colors combined with matte gold foil stamp. 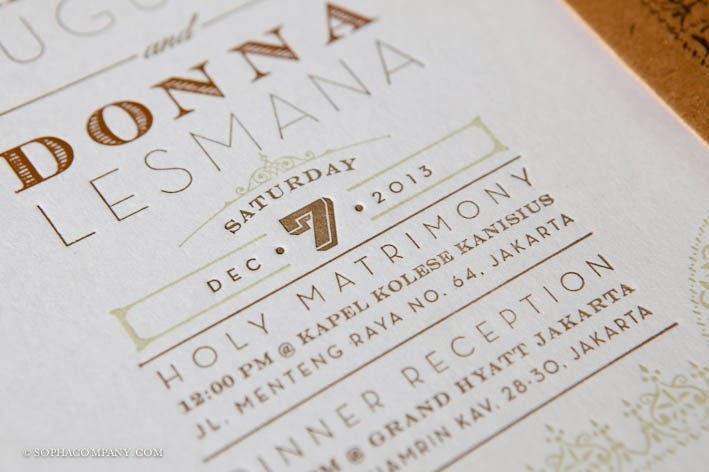 Designed by Sopha & Co., produced by Paper Press Jakarta.